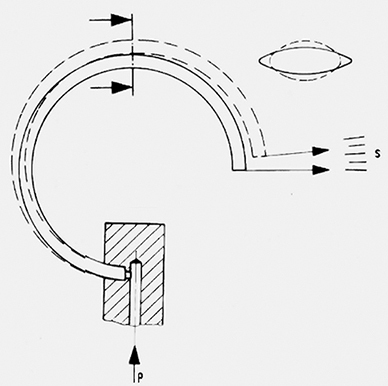 With the c-shaped bent Bourdon tubes, pressures up to 60 bar can be displayed. For higher pressures, helical or spiral-type Bourdon tubes are used. Depending on the geometry, material and material thickness, pressures up to 7,000 bar can be realised. Depending on the requirement, the pressure elements are made of copper alloys, stainless steels or special materials such as Monel. 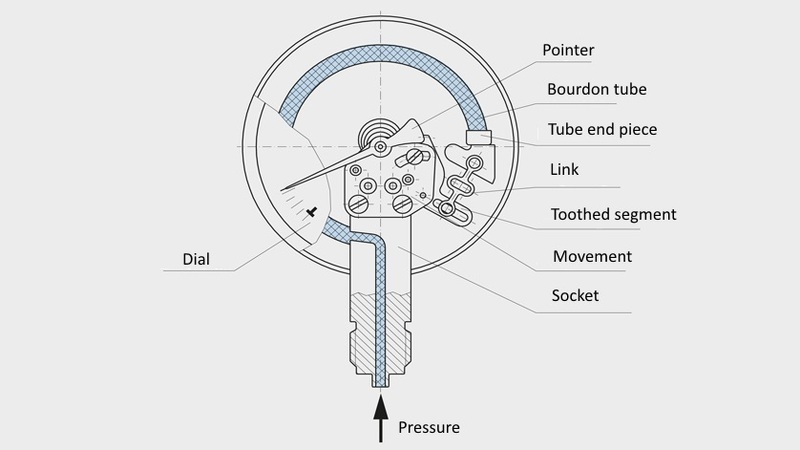 Further information on Bourdon tube pressure gauges can be found on the WIKA website under Pressure gauges and Pressure gauges with output signal.